After Edison's pioneering work in tinfoil recording, his laboratory focused on the invention of the incandescent light bulb and the development of the underlying infrastructure that would ultimately support its widespread adoption. Where Edison left off, Alexander Graham Bell, his cousin Chichester, and Charles Sumner Tainter filled the void and began tinkering with Edison's design. 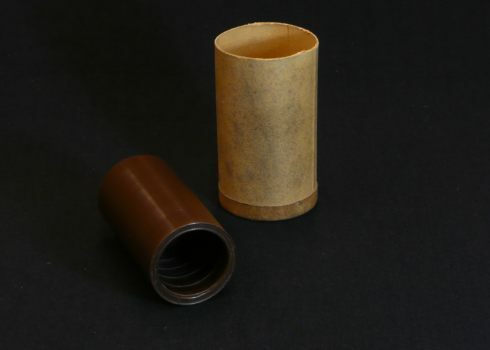 By the mid-1880s, their efforts resulted in several key technological sound recording developments—in particular, the establishment of wax as the new medium of choice and the design of a cutting stylus that would etch a groove, as opposed to just making an indentation, as the tinfoil phonograph had done. These advances, which allowed for a more durable sound recording of better quality, were crucial for the subsequent development of the cylinder medium as well as the immediate commercial viability of the three men's cylinder machine, the Graphophone, initially sold through the nascent Columbia company. Edison, having initially been approached as a collaborator, rebuffed the trio, returning instead to improve upon his original invention by himself. By the time the Graphophone debuted in 1887, he picked up where the trio's developments left off, determined to do even better. Edison's work, as well as his canny marketing abilities, paid off. By the late 1890s, following several refinements to the wax medium and the cylinder phonograph machine, as well as protracted legal battles with Columbia, Edison's brown wax cylinders emerged under the North American Phonograph Company name. The cylinders established a previously unseen level of market dominance in regional markets across the country, in competition against Columbia and Emile Berliner's new disc format. As the legend goes, Edison believed the cylinder phonograph would be a smash hit with the business community as a convenient office dictation device. Yet the success of the musical cylinders quickly convinced Edison otherwise, and as the cylinder medium evolved, entertainment became the most lucrative use for early sound recording technology.